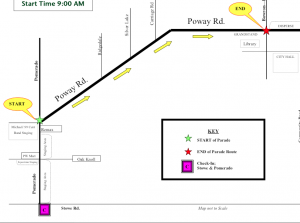 Poway Days Parade is this Saturday September 8th! Parents are responsible for dropping off your student and picking them up after the parade. Parents dropping off must proceed into the lot, staying in the lane close to the buildings, and drop off your passengers. Pull forward to make room for others behind you. Please do not turn into the parking areas because this is where the bands will be lining up. You must then exit on Pomerado Road. You can take your cars and buses to one of the shopping center lots on the north side of Poway Road to wait for your band members at the end of the Parade. Cars only may also go to the Community Center parking lot. You may NOT park in the drop-off lot. Please be respectful of the businesses who need the parking for customers. Pick up is just West of the corner of Community and Poway Road in the strip mall next to Walgreens. 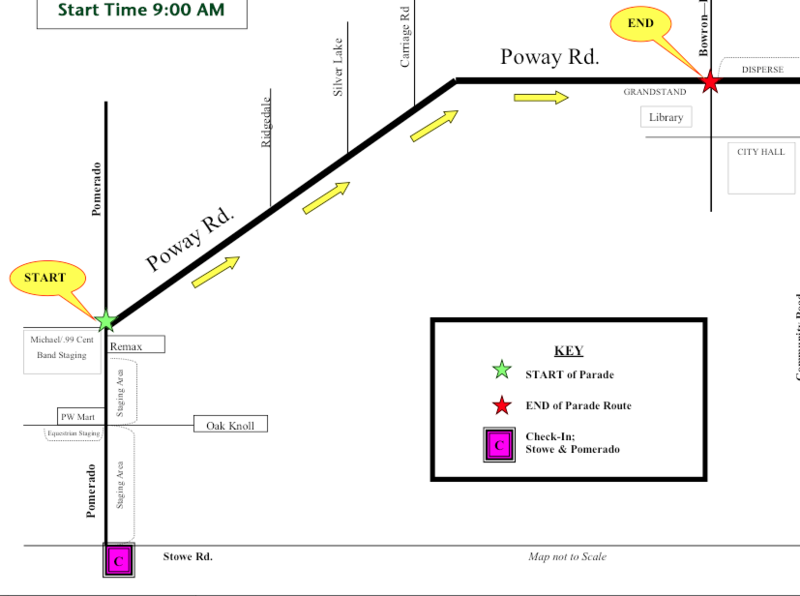 Parents may find parking, then walk West on Poway Road and find a place to view the parade and cheer us on. Poway Parade officials have not communicated our actual position in the parade. Will post when we are notified.